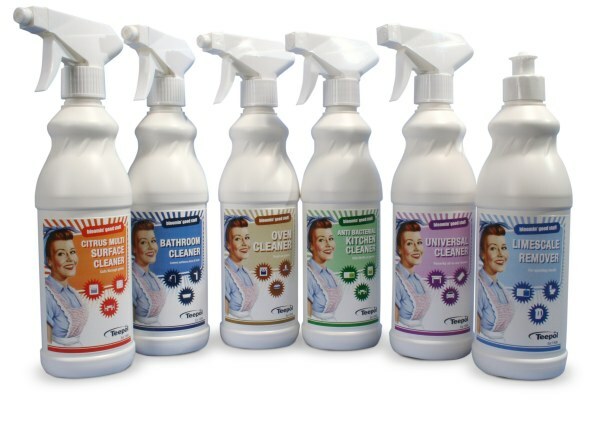 Our new Teepol Stella range is a powerful, household cleaning range including bathroom cleaner, limescale remover and oven cleaner. Our Stella range comes in convenient to use, light-weight 500ml bottles. Stella Anti-bacterial Kitchen Cleaner is a powerful, multi-purpose cleaner that effectively kills 99.9% of germs. A fast and effective spray on, wipe off sanitizing spray, specially designed to be safe in food preparation areas, and all wipe down hard surfaces. Certified against MRSA, E.coli and Salmonella. (keeping you safe in your home). Stella Oven Cleaner cuts through and removes grease from ovens, grills, fat fryers and canopies. Regular use prevents build up of deposits and its non-tainting formula contains no perfumes. Can be used as a degreaser, (spray your pots and pans before washing to help remove burn on food). Can also be used as a spot cleaner for carpets and upholstery and can be diluted in water for effective cleaning of large areas, such as driveways and patios, can be diluted with water to clean cars and bicycles. Can be used as a 'pre-spot', stain remover before putting items into the washing machine. 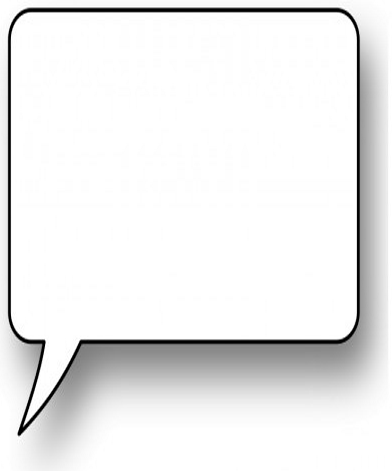 The one product everyone should have, with this in hand! 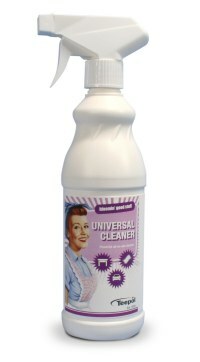 Stella Limescale Remover a powerful descaler suitable for descaling kettles, taps, washing machines & dishwashers, (just add 100ml into dispenser draw and put on empty wash cycle) as well as for use in sinks and kitchen areas. (add a squirt to clean dishcloth and wipe over sinks and taps for amazing results). 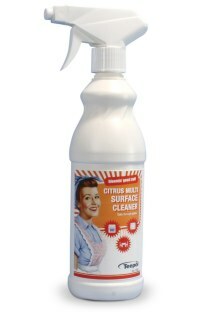 A fast and effective toilet cleaner, fragranced with apple to leave toilets clean and zingy fresh. A heavy duty, powerful BBQ and grill cleaner for use on both charcoal and gas BBQ's. Dissolves grease and grime and leaves BBQ's and grills sparkling clean.